WASHINGTON — Orbital ATK shipped the service module for a Cygnus cargo capsule to NASA’s Kennedy Space Center in Florida, marking the start of final assembly on the first such vehicle bound for the International Space Station since the last one was destroyed in a launch failure nearly one year ago, the company announced Oct. 12. 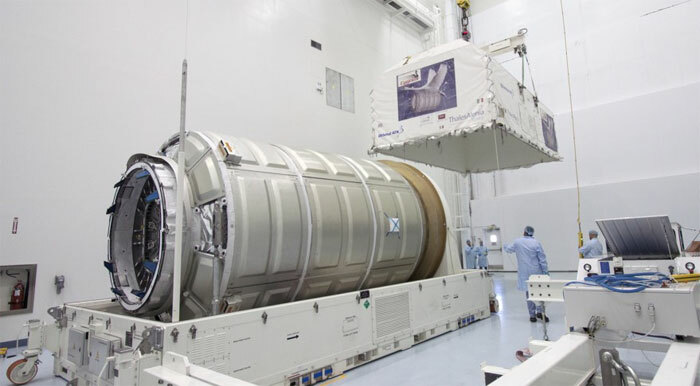 The Orbital ATK-made service module now will be mated with its pressurized cargo vessel, manufactured by Europe’s Thales Alenia Space, in preparation for a scheduled Dec. 3 launch aboard a United Launch Alliance Atlas 5 rocket, Orbital ATK said in a press release. The service module provides propulsion, electrical power, avionics and communications for the cargo carrier. This upgraded Cygnus will be the largest ever launched, carrying about 3.5 metric tons of cargo to ISS — nearly a ton more than the ill-fated Cygnus that was destroyed shortly after liftoff from Virginia last October. The latest Cygnus will also be the first to use Orbital ATK’s in-house Ultraflex solar arrays; the craft previously used arrays provided by Airbus Defence and Space Netherlands. 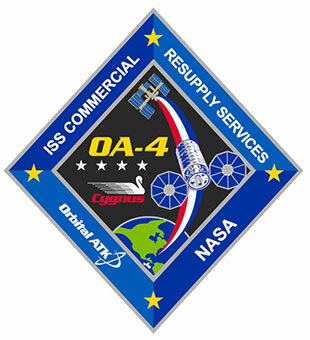 Orbital ATK plans to launch at least two Cygnus capsules aboard Atlas 5 rockets, in December and March, as it recovers from the Oct. 29, 2014, failure of its own Antares rocket, which exploded moments after liftoff from the Mid Atlantic Regional Spaceport on Wallops Island, Virginia. The mission was supposed to be the company’s third paid cargo run to ISS for NASA. The next Orbital ATK cargo launch from Wallops is slated for “the first half of the year,” the company said, aboard an a new Antares variant featuring the Russian-made RD-181 main-stage engine. Previous versions of Antares used the Russian-built, U.S.-refurbished AJ-26, which has been blamed for the October failure. Orbital ATK’s indefinite quantity, indefinite delivery Commercial Resupply Services contract with NASA is good through 2018 and has a maximum value of $3.1 billion, meaning NASA may order as many flights under the contract as $3.1 billion will buy. NASA ordered the equivalent of eight flights from Orbital ATK in 2008, worth $1.9 billion at the time. Earlier this year, the agency ordered two more Orbital ATK deliveries but declined to disclose their value. 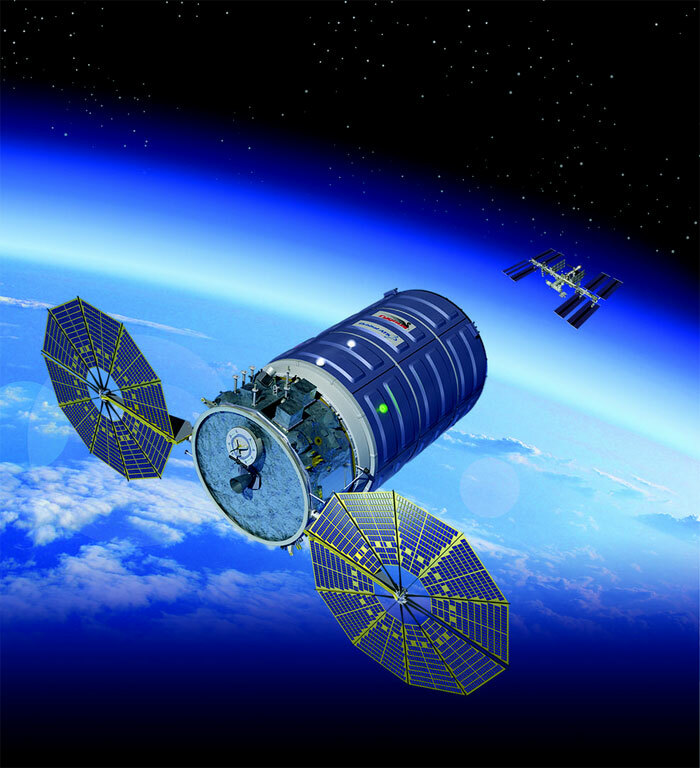 Artist's concept of Orbital ATK's Cygnus spacecraft in orbit.